When I joined the Moxie Fab Thanks Blog Hop in November of last year, I came to know a blogger named Taheerah just a bit better. 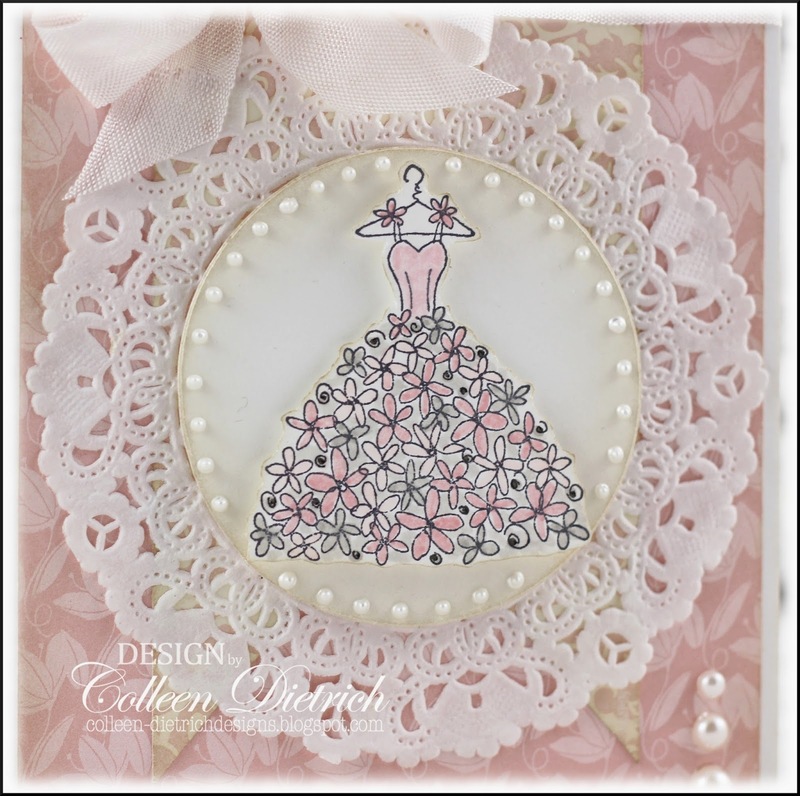 Her creations are so whimsical, and I follow her on Facebook. 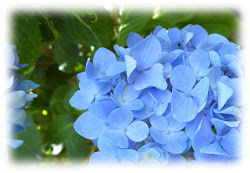 Recently, she created a new challenge called Cure For The Monday Blues. 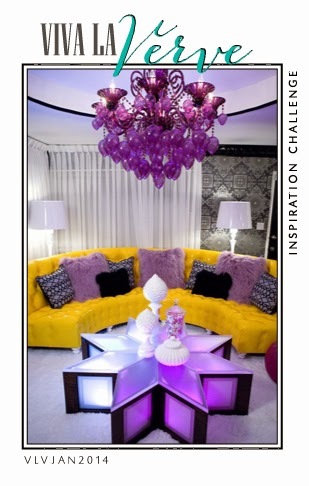 I'm playing in the second challenge, and I'll share the inspiration pic in just a moment. 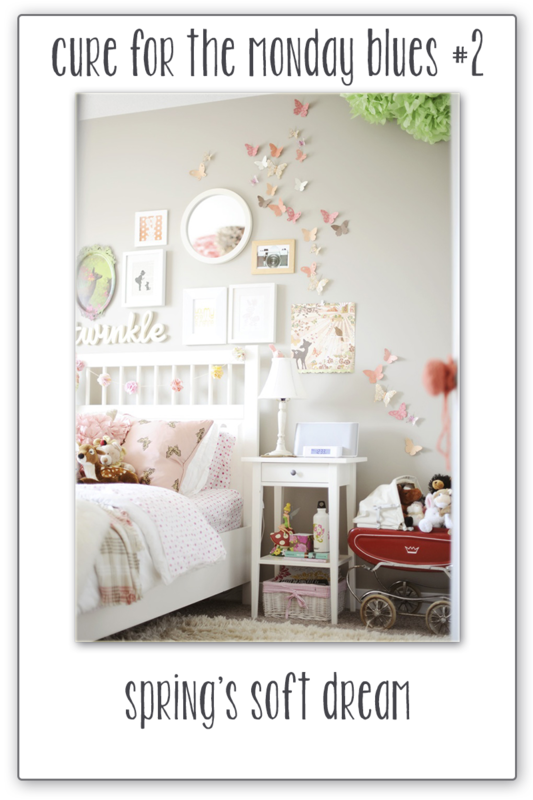 I created a butterfly-ful baby card, based on the plethora of 'flies I spy on the wall. I also picked up on the soft peachy pink of the pillow shams, and the general softness of the whole scene. 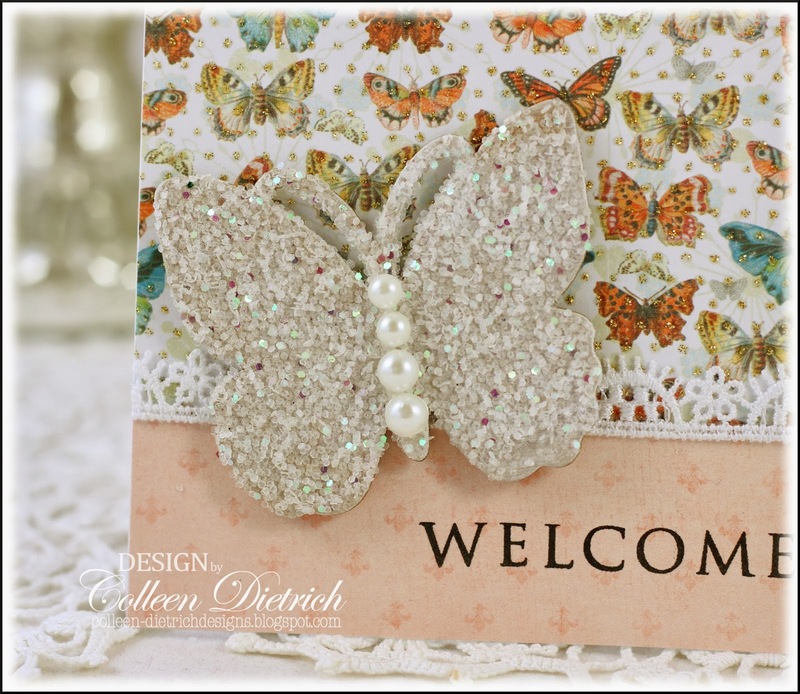 My chipboard butterfly was wiped with white craft ink, then glittered. I wish I had painted it white instead, 'cause I'm seeing too much chipboard-color. Still, I think it is pretty. 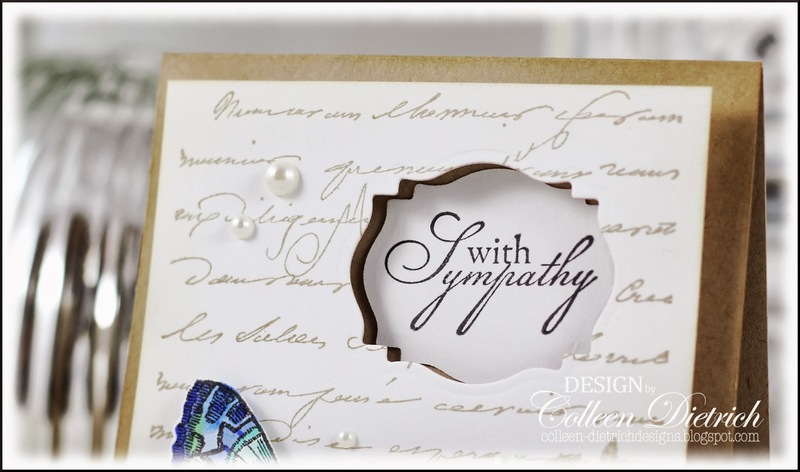 The sentiment is new-to-me Papertrey Ink / Think Big Favorites #16. Hello! Thank you all SO much for the fantastic, encouraging comments on my Bridal Collection post yesterday! I sure hope they are a hit at the bridal store. It's fun to make such a special card for a special occasion. I've got more, more, more to show, but need the time to photo-edit them first. They were just little rectangles of patterned papers (no flower yet). The colors harmonized together just right, and when assembled, they looked like a little stack of presents! 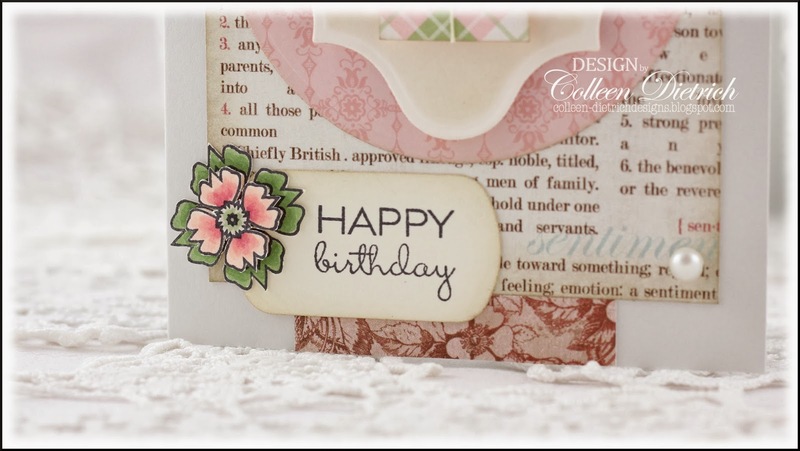 I inked the edges, added some vintage thread to 'tie' them together, and added a Verve flower from Small Celebrations. The sentiment is also from the same set. I stamped the flower twice, colored one completely and trimmed it out. The second one was colored only in the center portion, trimmed, and popped up onto the first with foam tape. 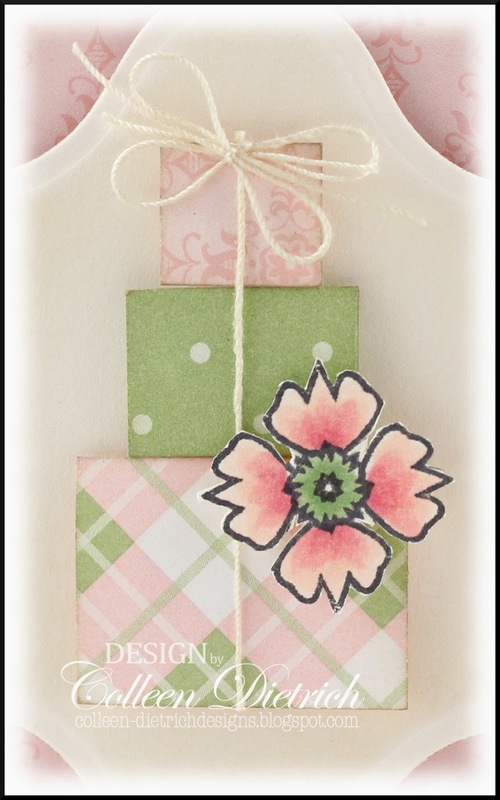 The stack of gifts needed a little pizzazz, so I stamped that flower once more and trimmed just the center once again to add as a package topper. I was not able to get to all the sketches for this month. The big order for the shop took me some time. 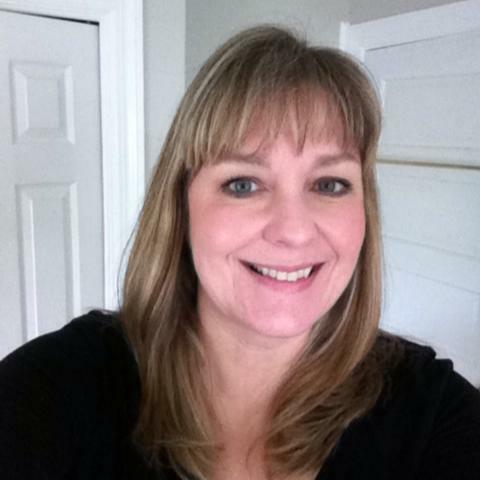 I've got one more post to put up for the Verve January challenges. See you soon! 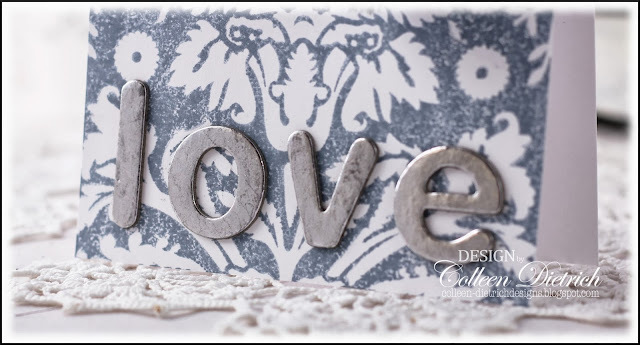 I am sharing Part One of my Bridal Collection, as delivered recently to A Beautiful Touch in Westmont, New Jersey. Weeks ago, I approached the store owner about carrying my cards in her shop. She received my creations with enthusiasm, and together we are embarking on an experiment. 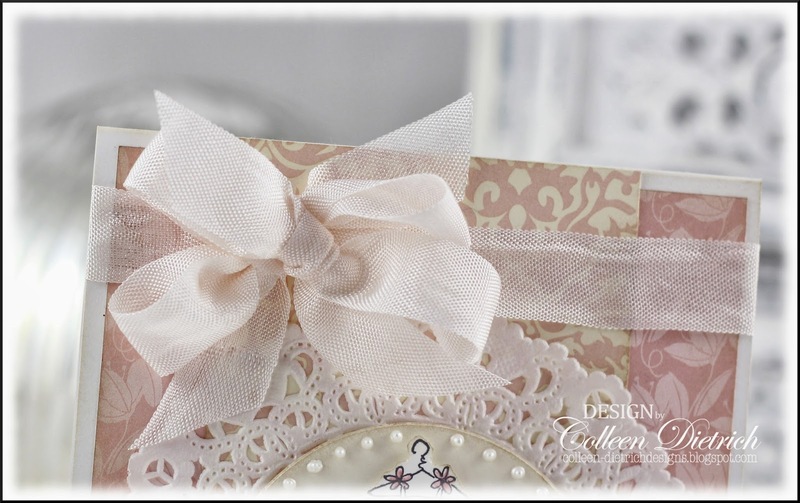 We want to see if her customers will be interested to buy cards for the shower and wedding gifts sold in the posh, beautiful store (almost makes me wish I was getting married right now! the things she carries are exquisite.). Keeping my fingers crossed that they will be a hit! 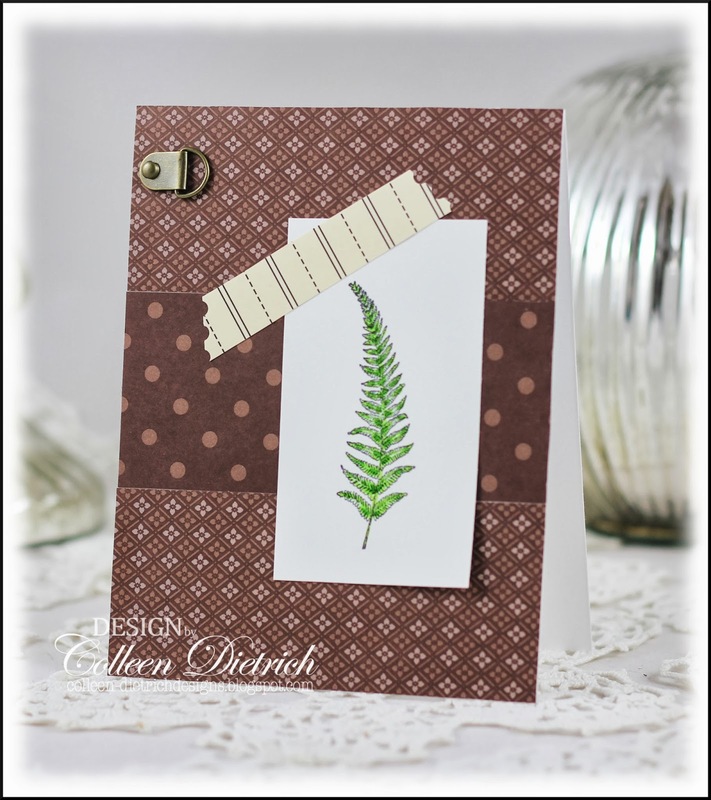 The next card features one of my favorite older Stampin' Up! sets, Blooming With Happiness. I love, love, love that floral dress. I used Cameo Beige seam binding (Hug Snug, from Zipper Stop). Got it for Christmas, and the soft creamy vanilla shade is perfect for so many of my cards. 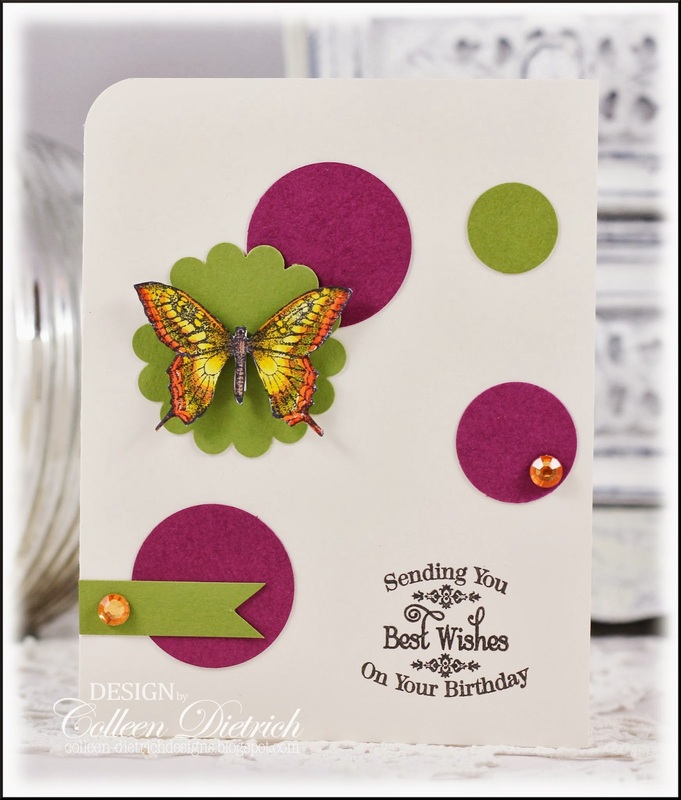 Had a snippet of Stampin' Up! lace on hand, and tied it around a twine bow. 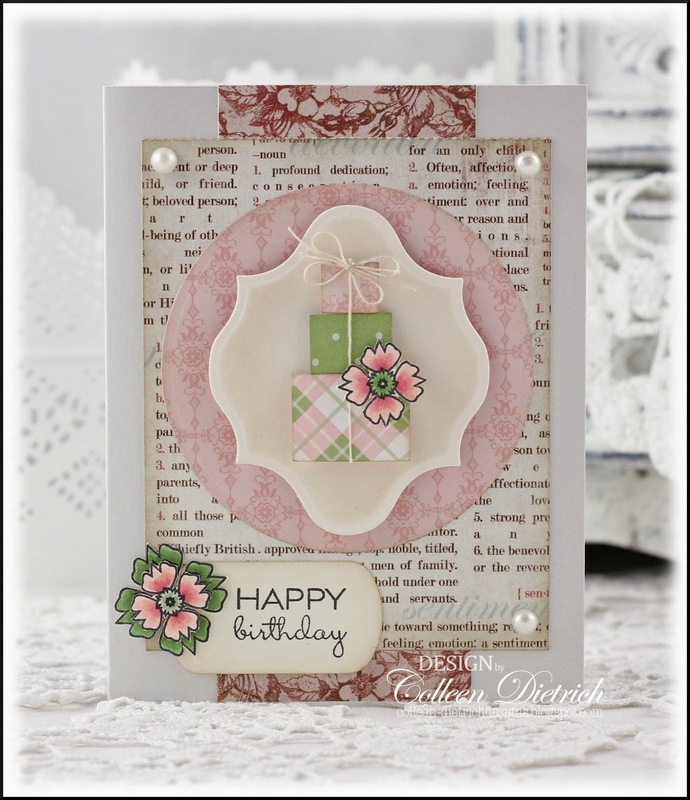 I used another beloved SU stamp, Bella Toile background, to give interest to my kraft card base. The sentiment is from Papertrey Ink, Happily Ever After - another Christmas goody. Chunky glass glitter covers a punched heart. I was pretty excited to show these cards to you, and I do have more. 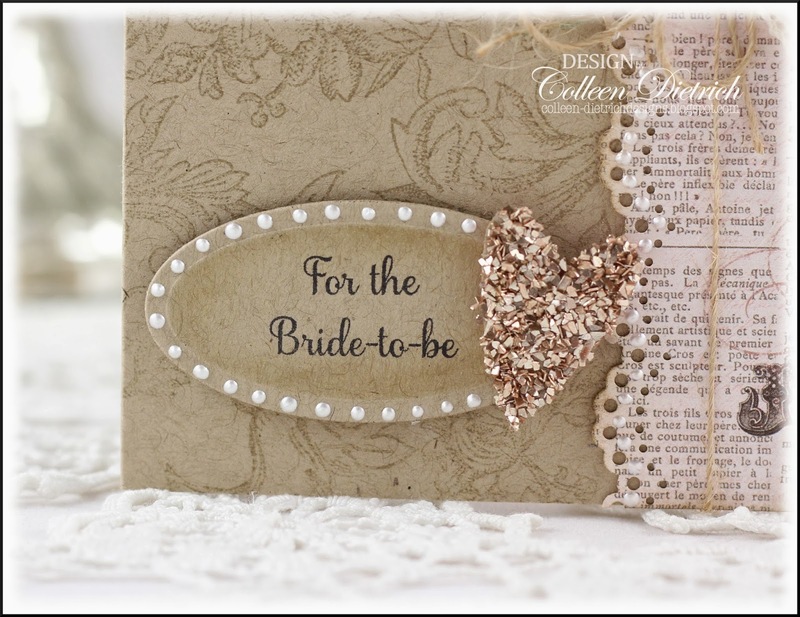 Will need to do another installment of the Bridal Collection so this post doesn't go on forever! This is my second post for today. 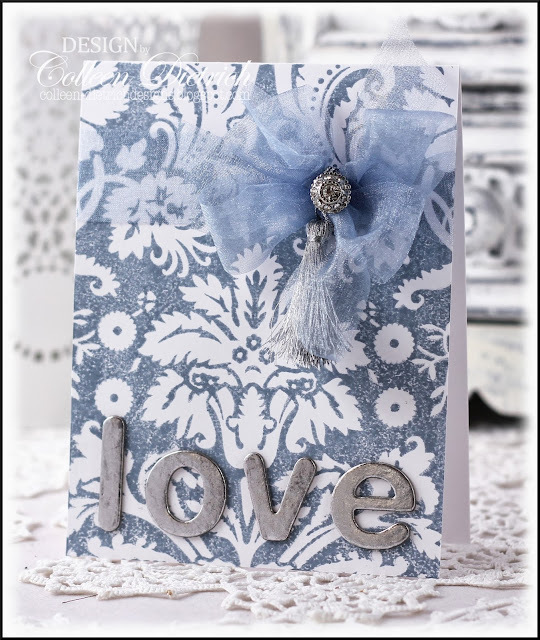 Please click HERE for 'Bluesy Love Cards'. Well, it feels good to say I'm playing in a challenge today! 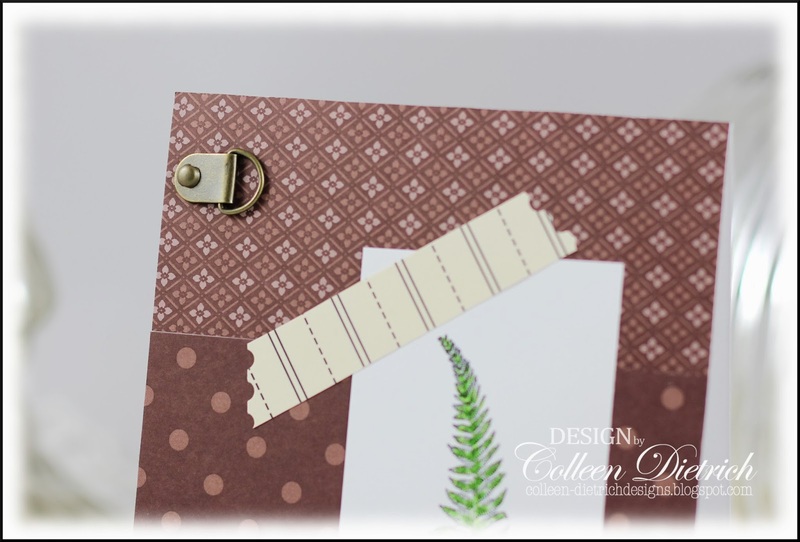 One of my new favorite challenges is The Card Concept, created by my friend Lesley. If you haven't heard of it yet, go check it out. 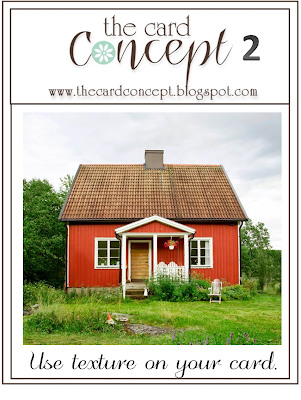 It's unique, I think, because not only are you given a prompt (like an inspiration photo) and a dictate (like this week, we need to use Texture), but you must also have your card fit into one of 6 style categories. 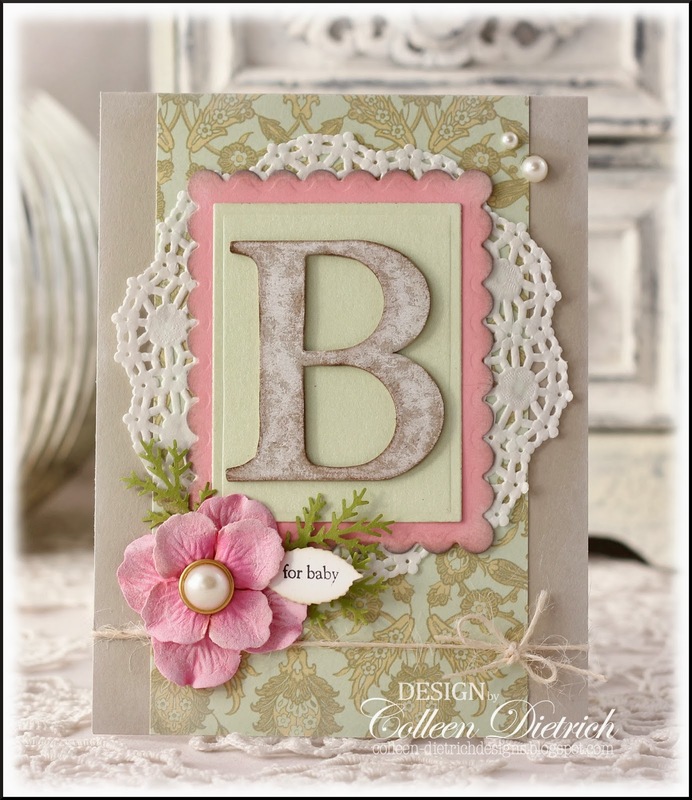 I was inspired by the almost cardboard-like roof, and so I pulled out a chipboard "B" for this baby card. 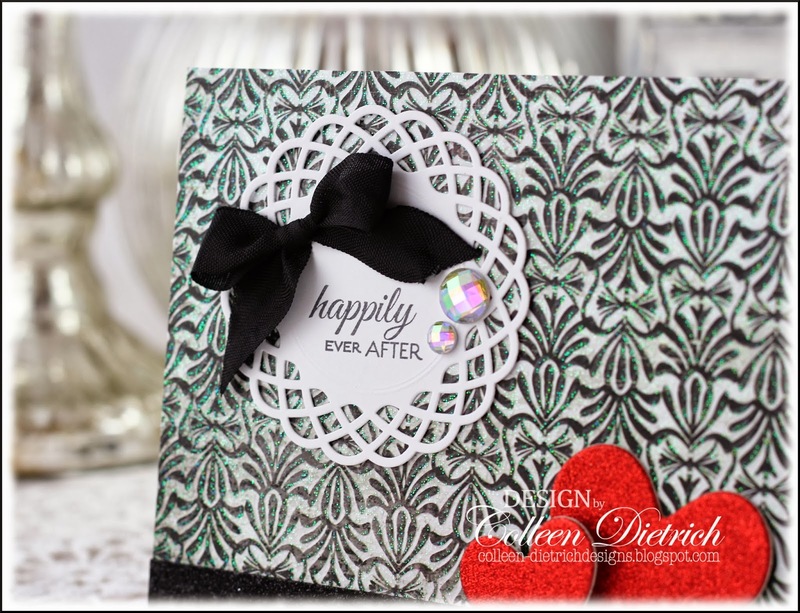 I also noted all the greenery around the house, and added some of my own punched greenery to the card. 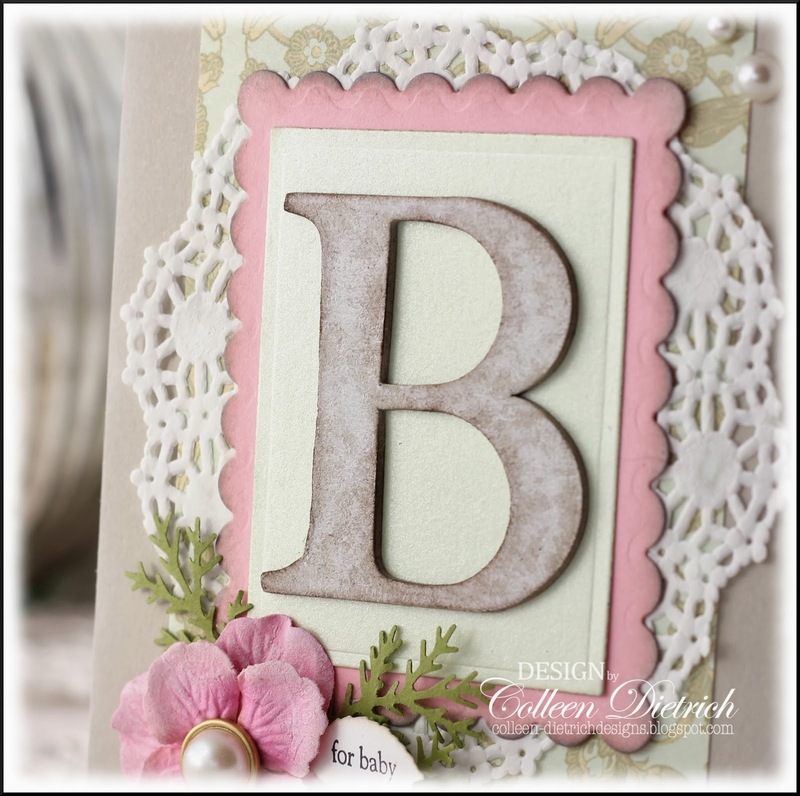 Had to capture the shimmer of this light green cardstock for you, which is under the "B". It is a sample piece from California Paper Goods from oh-so-long-ago. The letter was wiped and sponged with white craft ink. I also wiped white ink on the bright pink flower to tone it down a bit. 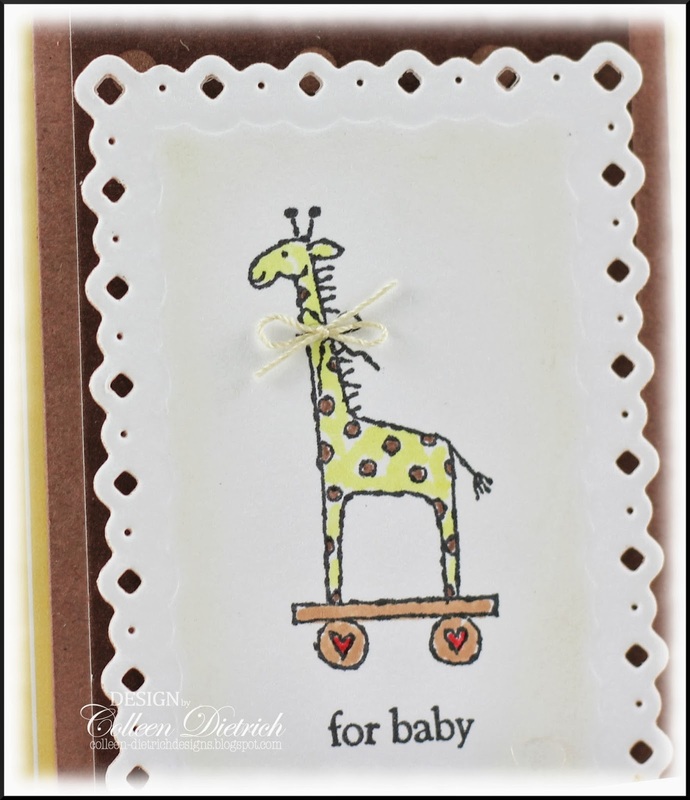 The sentiment, from Little Hellos by Stampin' Up!, was singled out (the stamp has an image of a giraffe, too) and inked onto a little punched leaf. 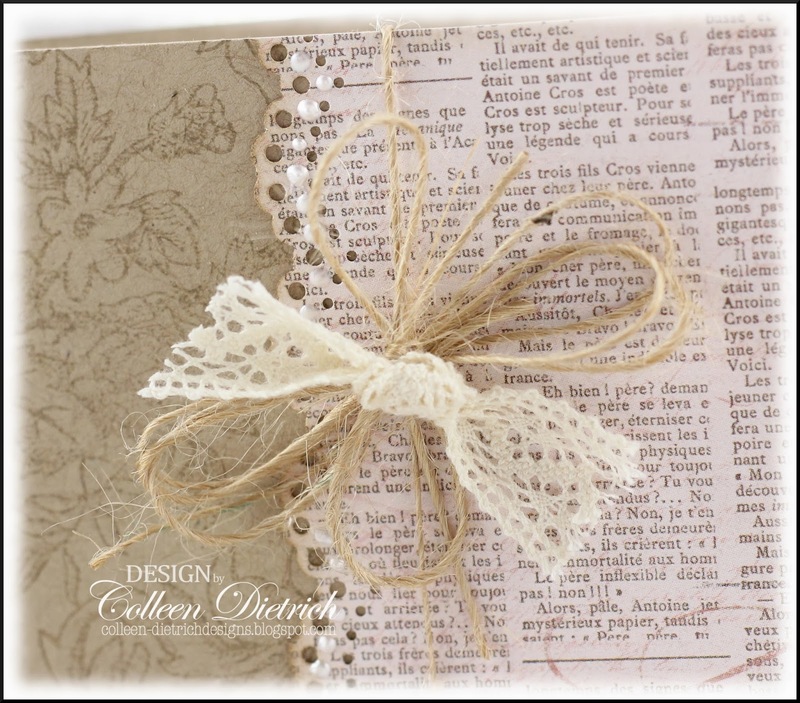 Stamps: Little Hellos - SU Paper: Old Olive, Sahara Sand, Pretty In Pink - SU; paisley pattern ? ; pale green shimmer - California Paper Goods Ink: white opaque, Frayed Burlap, Walnut Stain, Antique Linen - Ranger; Memento Tuxedo Black - Tsukineko Fibers: cream twine - American Crafts Accessories & Tools: Branch, Rose Leaf punches - Martha Stewart; gold/pearl brad - Bride's; rectangle, scalloped rectangle dies - Spellbinders; doily - Wilton; pink flowers - Prima; pearls - Queen & Co. I've doubled up love cards for this post, both in shades of blue. 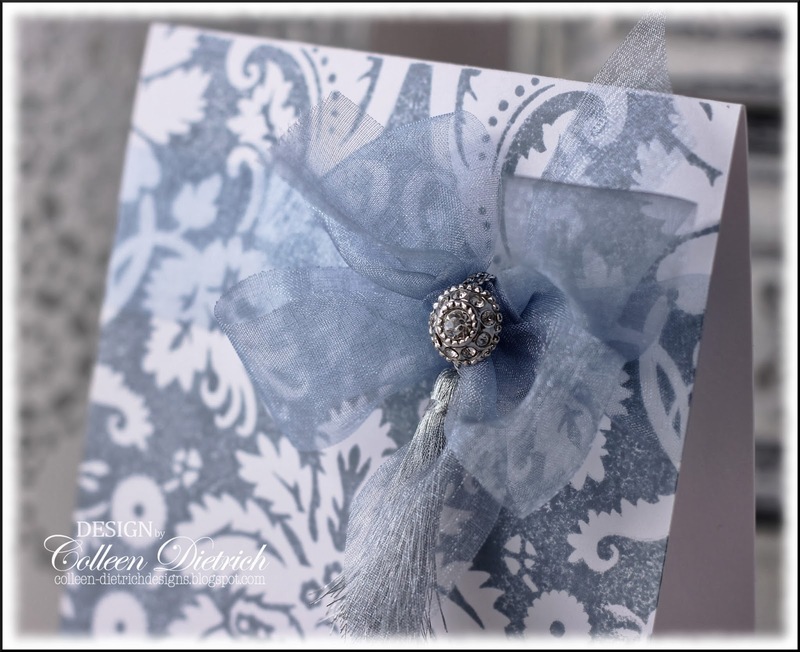 The first is an icy, wintry, elegant wedding card that went over to Arts Plus Gallery a little while back. It's really a pretty simple card. I stamped Hero Arts Large Fabric Design background in blue on a white base. Added a sheer blue bow, topped with a silver tassel (from an old bookmark-making kit I received) and a glorious bejeweled button. ...and then, some chipboard letters in silver. Done! 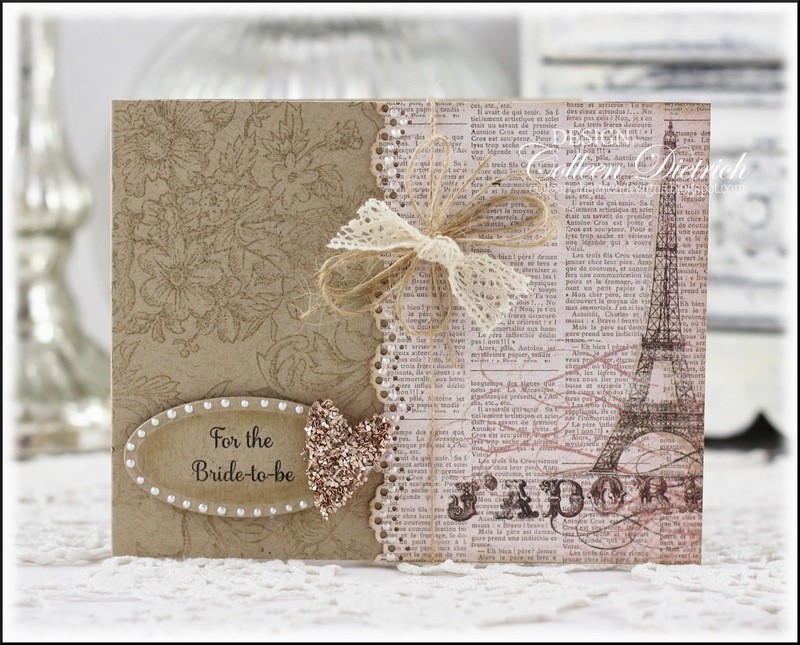 In November 2013, I posted THIS custom engagement card. 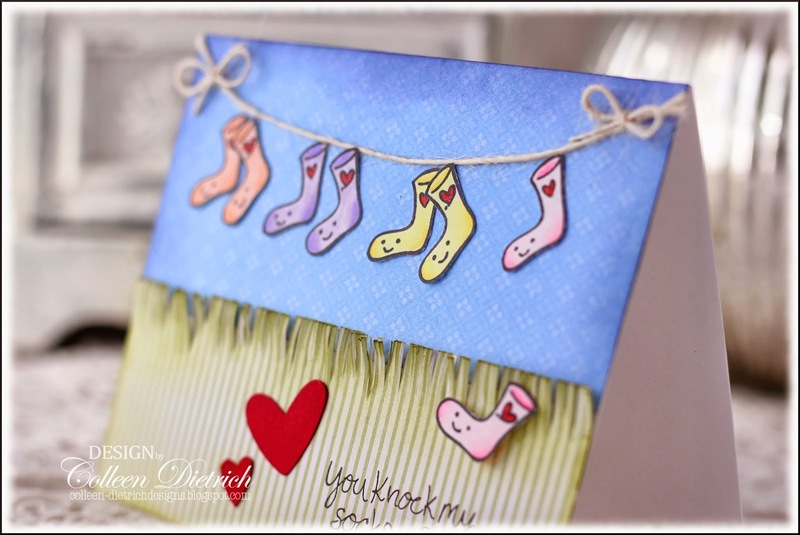 And even though I am not one to duplicate cards, I did love it so much that I created a similar one for the shop. 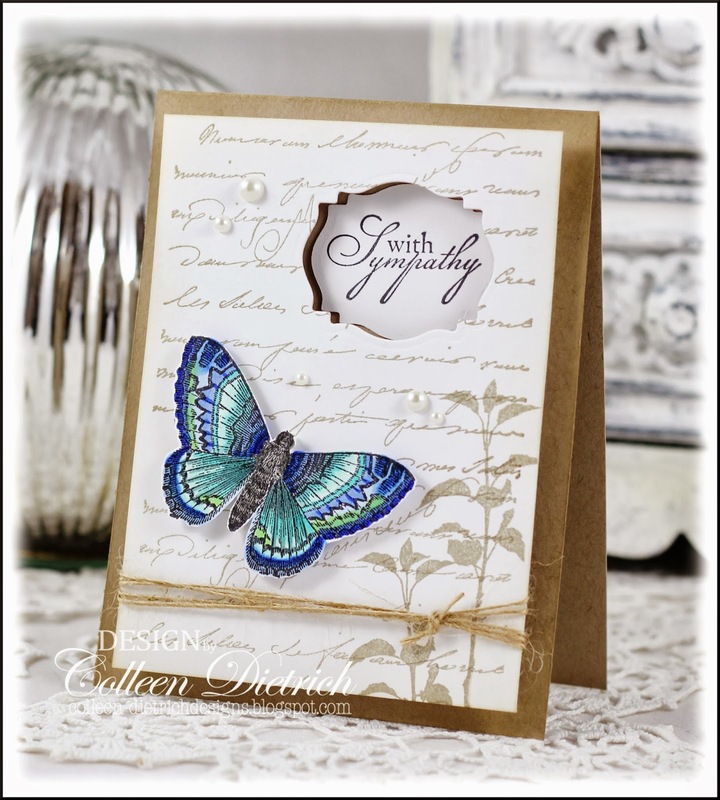 I changed the color of the cardstock to a soft blue instead of purple, and added a sentiment this time. For some reason, this card was easier to photograph and photo-edit than the previous, purple version. My camera has a hard time with reds and purples. Stamps: Love Story - Verve Paper: Bordering Blue, Whisper White - SU; Once Upon A Time patterned paper - DCWV Ink: white opaque, Walnut Stain - Ranger Accessories & Tools: Oval die - Spellbinders; butterflies - removed from store-bought card; Floral Frame embossing folder - Sizzix; Elegant Scrollwork die - Memory Box; Modern Label Punch - SU; pearls - Queen & Co.
Well, this card needs no explanation, does it? It went together very quickly, was fun to make, and it's a fabulous way to use up some scraps. 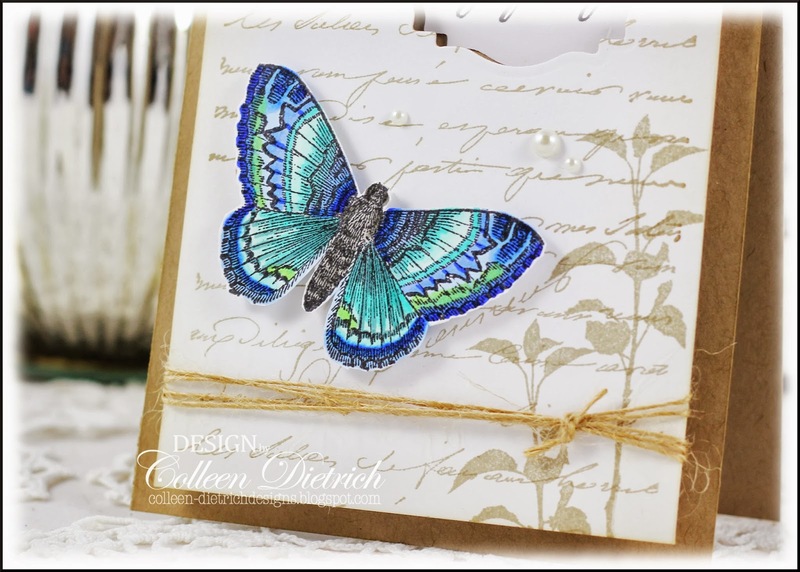 Even the butterfly was hanging around - colored and trimmed - in my UFO* box. I'm going to keep this idea in mind for more speedy birthday cards in the future. * UFO is a term my friend Bonnie uses often, and it stands for UnFinished Objects. No frou-frou creations here today. Check back here soon for that! 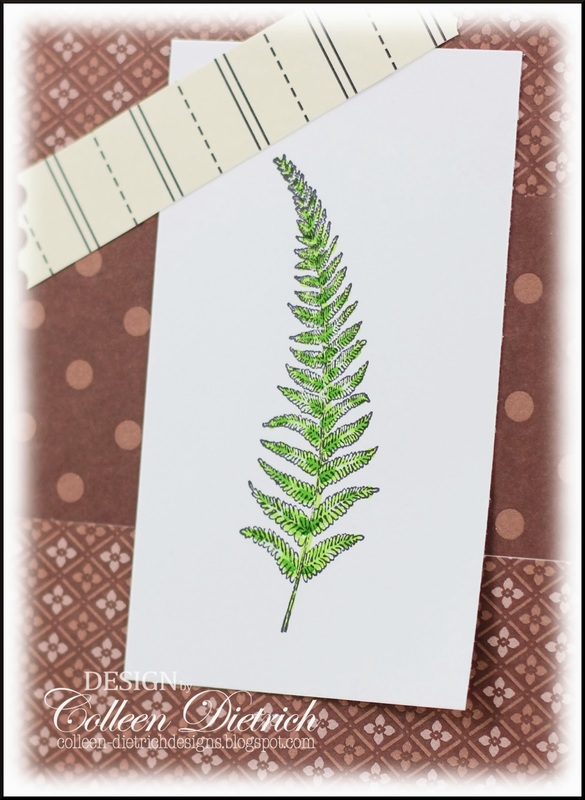 The fern is from Organic Grace. I turned up one bottom corner of the image panel, to try to make it look like I just casually 'stuck' this up on the card with the (failed) washi tape. As I type this, I am laughing at this attempt of a guy card. Hope it gave you a little chuckle too! One of the card categories I need to beef up is Baby. And more specifically, Baby Boy. 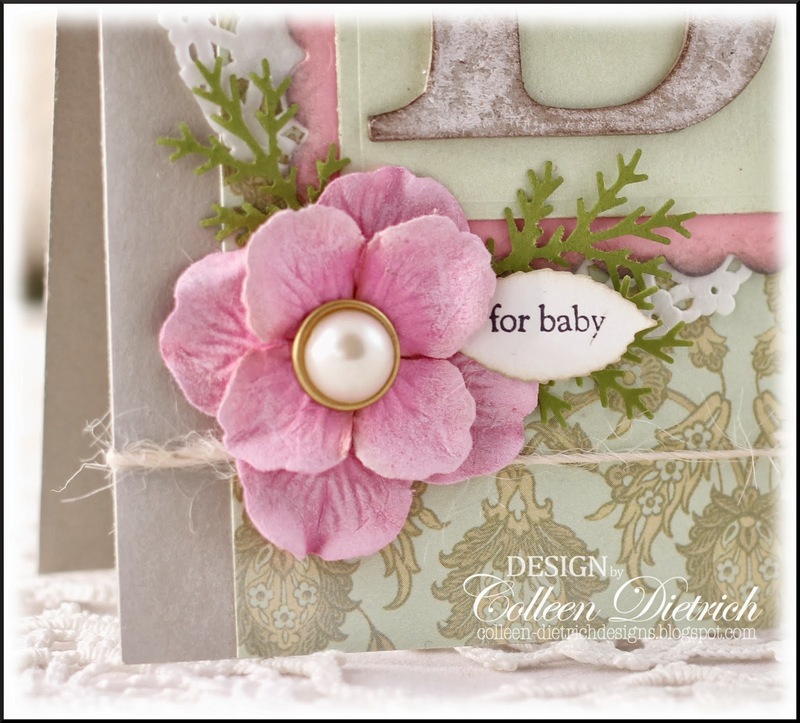 I can crank out Baby Girl cards like nobody's business, but the boy cards are a little less...well....fun. Sure, they can be very cute, but one can't add all the girly touches (lace, pearls, bows, etc.) that come more naturally to me. 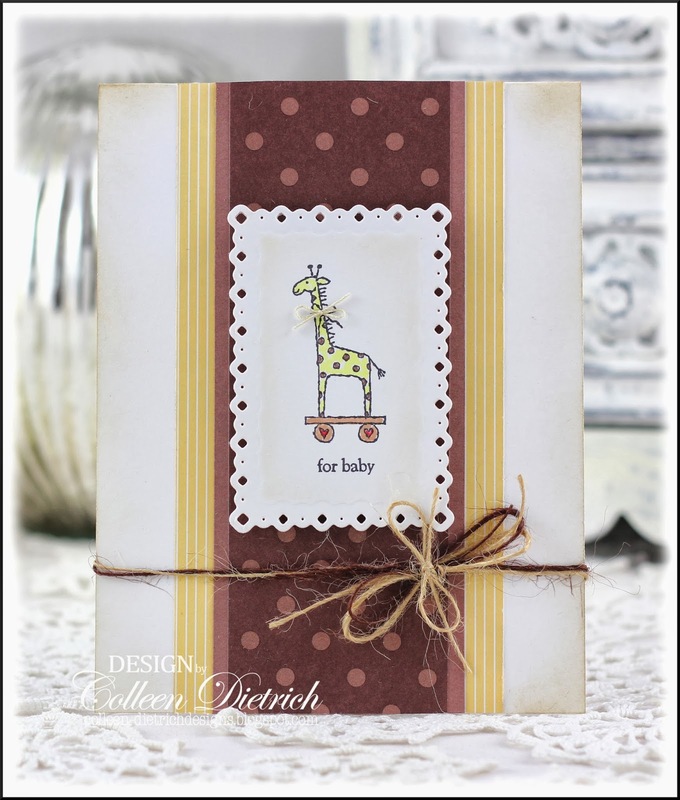 I used the sweetest little giraffe from an old Stampin' Up! set, Little Hellos. The stamp does feature a little bow around his neck, and then I added a real bow made of vintage twine.